Today’s REAPER WITH ISSUES interview comes to you live from scenic downtown Hell, because today we sit down with none other than the Devil himself, Lucifer. HE: Good morning, Lucifer. You look nice today. LUCIFER: *runs hands over Italian silk suit* Yes, yes I do. And might I say that you look lovely as well. I cannot remember the last time I saw polyester blend worn so tastefully. HE: *sighs* How was your trip to Earth? I noticed you didn’t travel by bus the way the Horsemen did. LUCIFER: I will admit there are certain perks to being an Archangel. The ability to apparate is one of them. HE: That’s right…I almost forgot. You are an Angel. So does that mean you are lacking in the… “meat department” or is that just a rumor? LUCIFER: Let me be clear- I am an Archangel and as a rule we do not have “junk” as it were. Sadly, when my Father reassigned me to Hell he equipped me with said apparatus as a punishment. His plan worked beautifully, as this particular appendage is more work than it’s worth. HE: You’ve stated that you were “reassigned” to Hell by your Father. Is there any truth to the rumor that this demotion came from a falling out over a woman? LUCIFER: Oh how little birds love to chirp. HE: So, I take it you aren’t going to answer the question? LUCIFER: My lips are sealed. LUCIFER: Your overwhelming desire to know the sexual predilections of others. The mind boggles at the effort put toward investigating the bedroom habits of your would be politicians. These same politicians then refuse to represent the rights of their constituents based on their sexual predilections. How you mortals manage to accomplish anything is beyond my comprehension. HE: On that note, if you were mortal, what job would you want to have? HE: No explanation necessary. Tell me, is it hard working for God? LUCIFER: Working for my Father? Oh what to say, what to say… I suppose when inspected in the proper light the idea of working for God may seem appealing, but I haven’t found that to be necessarily true. HE: Really? In what way? LUCIFER: The man lacks vision, for starters. The first thing I would do if I were to take over Heaven is rewrite the Bible. Too many contradictions. No wonder mortals are confused as to what is expected of them. HE: Rewrite the Bible. Interesting. So now tell me- what do you think of the Horsemen? LUCIFER: Ugh. You want to talk about the ponies. *sighs* So be it. Where do I begin? Pestilence is an insufferable know it all, Famine is a stickler for standards, War is a sexual harassment lawsuit waiting to happen and Grim, well…Grim has his moments. HE: Got it. Pick one- Beatles or Elvis? LUCIFER: Why the Beatles, of course. The late great Mr. Lennon sent Jesus off the deep end with one simple statement. I’ve always admired him for that. LUCIFER: I am sad to say that I am a former fan of Tampa Bay Rays baseball. They disappointed me a few years ago. I haven’t forgotten. 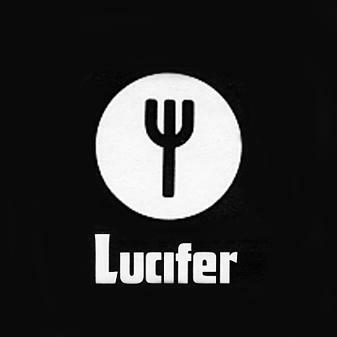 LUCIFER: I refute the claim the a fore mentioned politicians have made that I, indeed, am the entity to blame for their succumbing to their baser instincts. No such whispering into ears was committed by me or any of my demon henchmen. We simply do not have the time.